WASHINGTON — Officials from the largest federal workers union slammed Veterans Affairs officials’ new health care reform plan as “a total dismantling of the department” that would jeopardize veterans services. The comments came less than a day after the formal unveiling of the new Coordinated Access & Rewarding Experiences (Vets CARE) Act, proposed by VA leaders as a way to increase patient access to physicians through expanded appointments outside the department’s system. The Vets CARE program would replace the three-year-old Veterans Choice program, which allows veterans to seek private sector care at government expense if they face a 30-day wait for a department appointment or a 40-mile trek to the nearest department facility. Under the new plan — which still needs congressional approval — those options would open to any veteran who faces a wait longer than “a clinically acceptable period.” VA officials could would also be able to authorize outside care for a variety of other reasons, and make it easier for private-sector doctors to get reimbursed for veterans walk-in care. But AFGE leaders attacked the proposal, labeling it another effort to slowly undermine and destroy the VA system. 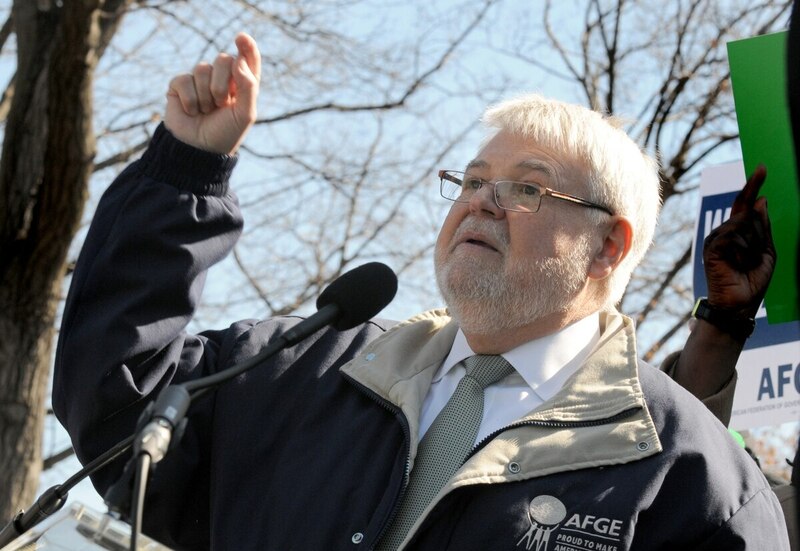 AFGE has been a frequent critic of President Donald Trump’s veterans policies, including legislation he signed into law this summer which made it easier to fire VA workers. In recent weeks, those arguments have centered around the idea that Trump appointees are working to privatize VA health care, an accusation Shulkin has repeatedly refuted. Cox — whose group represents about 250,000 VA employees — said instead of opting for an expensive expansion of outside care programs, lawmakers should back plans to reinvest in existing VA facilities and more carefully rely on private-sector doctors for specialties the federal workforce lacks. Shulkin’s vision has instead been focused on offering an expanded network of VA and community physicians. Conservatives on Capitol Hill have backed that idea, with similar promises that they aren’t looking to pull away resources from the department. Will Fischer, director of government relations for VoteVets, called that approach “death by a thousand cuts.” Their group, which has close ties to the Democratic Party, is working with AFGE to campaign against the new plan. House lawmakers are expected to review the plan and their own health care reform proposals at a Capitol Hill hearing next Tuesday. Meanwhile, officials from Concerned Veterans for America — which AFGE attacked in a press call Tuesday as pro-privatization, Republican activists — called the Vets CARE proposal a good start to the debate over VA’s future. “There is room for improvement,” said Dan Caldwell, policy director for the group. “One important modification that we believe should be made is that a veteran should be able to choose a primary care physician inside or outside of the Veterans Health Administration within the integrated care network.